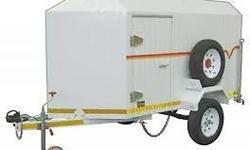 Baggage trailer for sale. Very good condition. Similar as picture. 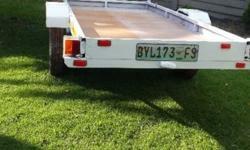 4.5 x 2m Flatbed trailer for sale. 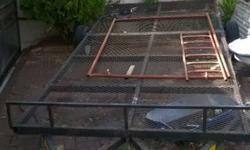 Urgent sale , moving houses and no space to store. 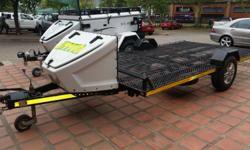 R3000 neg. 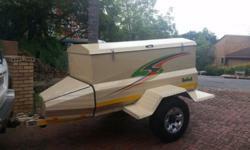 350L Buddy Trailer for sale. 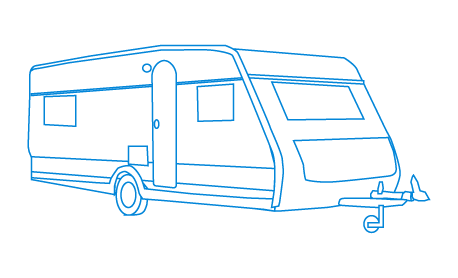 Ideal for family with a hatch back car that needs a little bit more space.